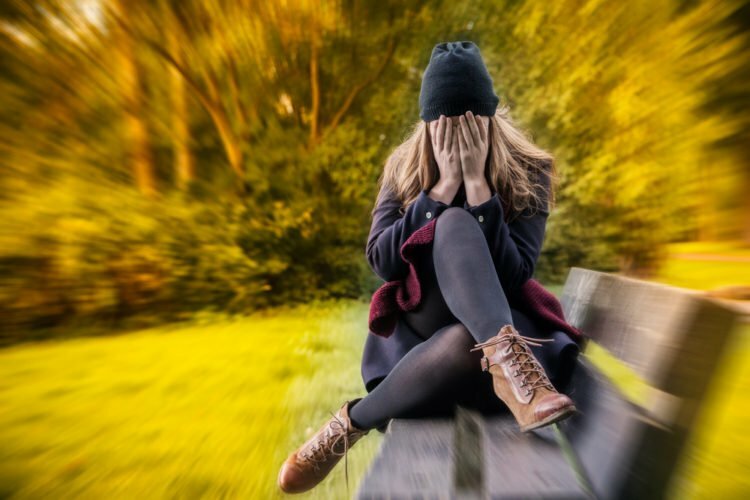 Anxiety is a personality disorder that’s being looked at as a risk for serious health maladies including diabetes, respiratory problems, heart disease, chronic pain and addiction. Recent studies concluded even slight angst can result in a shortened life. These findings point to the importance of having anxiety disorders and other mental illnesses treated. Sometimes, anxiety disorders lead to addiction. When this occurs it is important to treat this these disorders alongside addiction with dual diagnosis rehab. This will prevent one being treated without the other one resolved. Anxiety and depression symptoms combine to create psychological distress. Psychological distress is read by the adrenal glands as a threat to personal safety. The adrenals begin secreting the stress hormone, cortisol. Cortisol and the hormone, epinephrine increase the heart rate and narrow the arteries to prepare the body to meet and overcome the implied threat. Angst prompts the adrenals to constantly produce cortisol. When this happens, serious health problems like heart disease, high blood sugar levels, and digestive issues follow. A recent study showed that even lower levels of anxiety bring about adverse reactions which can lead to a decreased lifespan. What’s especially troubling is that people with lower anxiety levels may not feel compelled to seek help. This being the case, a segment of society with untreated mental illness are at risk for chronic conditions that can lead to a shorter life. Anxiety was previously considered a condition that has more to do with an individual’s personality than physical issues. Health professionals are now looking at this condition as a causal agent to serious medical problems. The results of these studies make it even more important that conditions like these disorders are treated. More studies, including one linking anxiety to cancer deaths in men in the United Kingdom, are showing a link between angst, depression, and chronic illnesses. This study was the largest done to date drawing a causal link between anxiety and cancer. A British study found a link between psychological distress (angst and depression) and chronic liver disease. 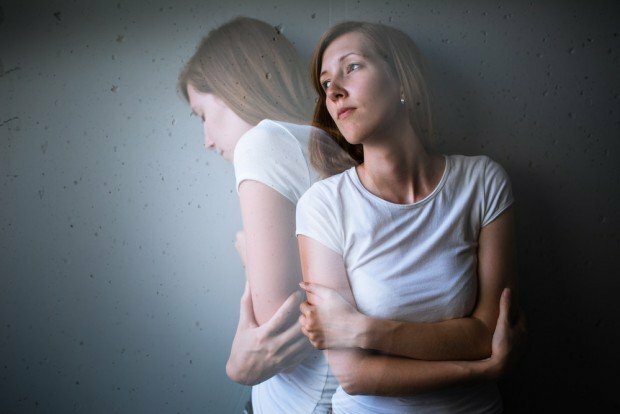 Researchers discovered that individuals who suffered from this disease and had anxiety and depression faced an elevated risk of death from the condition over patients who did not suffer from psychological distress. Move more. When we engage in physical activity, cortisol levels naturally drop, while a good workout also releases healthy endorphins. These hormones elevate your mood and can ease depression symptoms. Include meditation in the daily routine. Mindfulness is relaxing and can take an individual away from stressors in their lives that are causing harm. Spend time with the important people in your life and enjoy their beneficial company. Smile. Interestingly, studies show even faking a smile can relieve stress and angst. The mere act of smiling – whether you actually mean the smile or not – can trick the mind into believing you are really happy. It can relieve some stress you may be experiencing. Participants in the study had to hold chopsticks in their mouths to force their faces in positions that demonstrated a fake smile. While the participants were engaging in the stressful tasks, their heart rates were measured. The results showed the fake smiles reduced their anxiety levels. Additional studies are being done to determine any additional links between anxiety, depression, or other mental disorders and chronic illnesses. For now, the treatment of anxiety disorders may be helpful. The ramifications of untreated anxiety are profound. Getting treatment for anxiety disorders is imperative in order to ensure that someone lives a long and happy life. Recently, self-care apps have been popping up left and right, with over 4,000 different ones currently available. However, can these apps really help your mental health? They all have the same promise to improve our mental wellbeing. However, even self-help can feel overwhelming. Before you download your next app, let’s take a closer look at the pros and cons of self-care apps.